Please bring donations for North Fulton Community Charities! 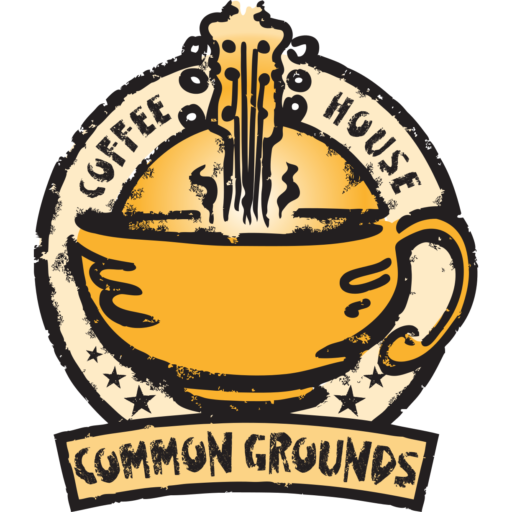 Bob Bakert is a regular performer at the Common Grounds Coffee House. Bob has a passion for music that is evident in all that he does. He has the kind of talent that only comes from a lifetime of dedication and practice. He has a wonderful voice, is extremely talented on guitar and is just an all-around great entertainer. Bob is very well connected and respected within the Atlanta music community. He has a life-long love of music and has returned to school to continue to study music and master his craft at Georgia State. Bob has been instrumental in keeping the Hungry Ear Coffee House going and we are eternally grateful that Bob was willing to help us get the Common Grounds Coffee House up and running. We couldn’t have done it without him. Individually they are amazing, together they are phenomenal. Martin Norgaard is an assistant professor of music education (strings) at Georgia State University and a fabulous fiddle player. He has performed in Austin, Nashville and throughout the country with his own jazz trio, the Norgaard Jones Project, the acoustic fusion band Acoustic Room and with artists as diverse as Buddy Spicher, Terri Clark, Matt King, Matt Dowling and Rich McCready among many others. In addition, he is the author of 10 jazz string method books. See more at his website, http://www.jazzfiddlewizard.com.